Our Chandlery Shop provides basic essentials, sweets and ice cream. Gas bottle exchange is also available. There is a small shop/post office in the village which sells papers, fresh produce and basic essentials. But for more shops it is worth a visit to Castle Donington which has a high street lined with Shops, Cafe's, Restaurants, Ale Houses, Bars, Bank & even a Chip Shop! Next up in size is nearby Long Eaton with a small market, bigger brand named high street shops and large supermarkets. Our village boasts a total of 8 pubs all within walking distance of the Marina, most serving food. Smithy’s Bar is situated on our site and serves a full range of food. Renowned for being Live Entertainment Bar at the weekends, there is also regular events like Scooter and Classic Car meets and they even have a Tea Room. The Navigation Inn is situated right next to our entrance road. They have live entertainment most weekends and a full menu. Recently (Winter 2016) renovated it has a light and airy modern feel inside. The Clock Warehouse is a short walk from our entrance road and serves typical pub chain type meals at the right price and in a recently (January 2017) renovated and clean environment. No Entertainment. The Old Crown Inn is an historic 17th Century, typical Village Pub with Real Ales and a Beer Garden. Generally no entertainment but is renowned for its Annual Beer Festival with plenty of music and dancing. 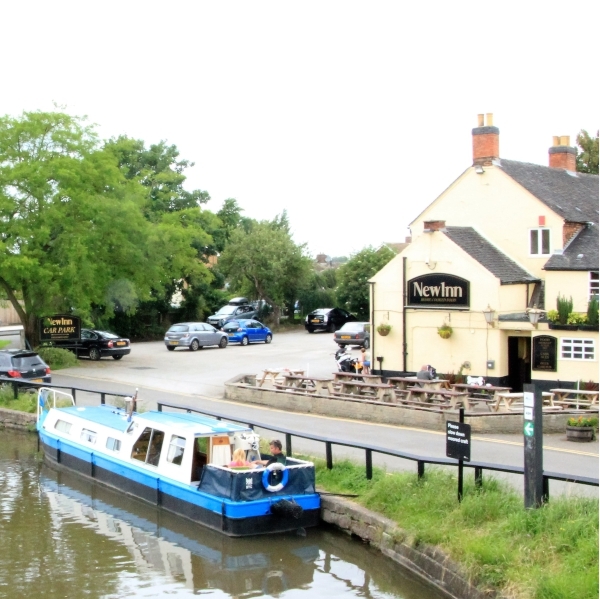 The New Inn is a canal-side pub with outside seating and tables where one can pass a few hours in the sun watching the boaters pass by. Traditional Pub Grub is the speciality here and at the right price too! 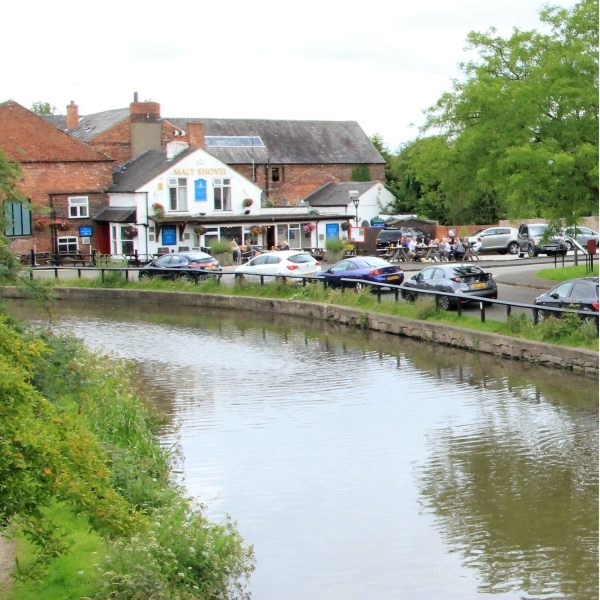 The Malt Shovel is also canal-side and directly opposite The New inn. A nice clean village pub serving quality bites and drinks in a lovely atmosphere. Occasional entertainment here too. The Shakespeare Inn has a traditional Village Pub feel in the bars but they have a restaurant at the rear. The Dog & Duck is a Marston's Pub & Eatery which is popular with locals and visitors from further afield. They serve typical Pub Chain food at typical prices. It has a Beer Garden too with Kids Play Area. There are two takeaways in Shardlow & many more in nearby Castle Donington. Golden Dragon - Shardlow is an authentic Cantonese & Peking Restaurant that also sell to take away but you have to pick it up as they do not operate a delivery service. It is well renowned and well established. Tanndoori Nights - Shardlow is a very popular Indian Restaurant and booking is advisable unless you go quite early. Well established, diners travel from afar to visit here. Curry Tonight - Castle Donington is a small but atmospheric Indian Restaurant where the staff specialise in being able to help you conjure up your own taste in a meal. You almost don't need a menu! “Skylink” stops at the top of the site and travels to Derby - East Midlands Airport - Loughborough - Leicester. 24 hours. 8 Borough Street, Castle Donington.